Susan is now in Wisconsin to the Wormfarm Institute for the next three weeks. She is sleeping in the barn where the temperature was 37 degrees yesterday. Today she is gardening. Hopefully it is a little bit warmer today. In honor of her planting skills I am going to show her how my pet weeds are growing. It has been a joke for years that I allow some strange exotic plant/weed to grow under my protection. I am particularly fond of this plant that until recently I had no clue to its identification. 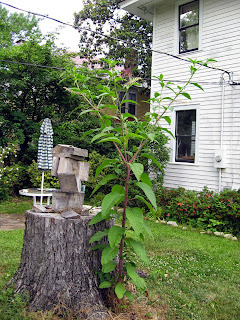 Our friend Bert Easter told me it was a pokeweed, and it is edible. I am sure all baby boomers remember the song "Poke Salad Annie" by Tony Joe White. As a teenager I had no idea that this plant was...I just liked the song. 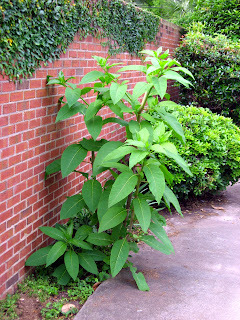 Well there are a slew of recipes on the internet that use this plant, but I am not going to try any. 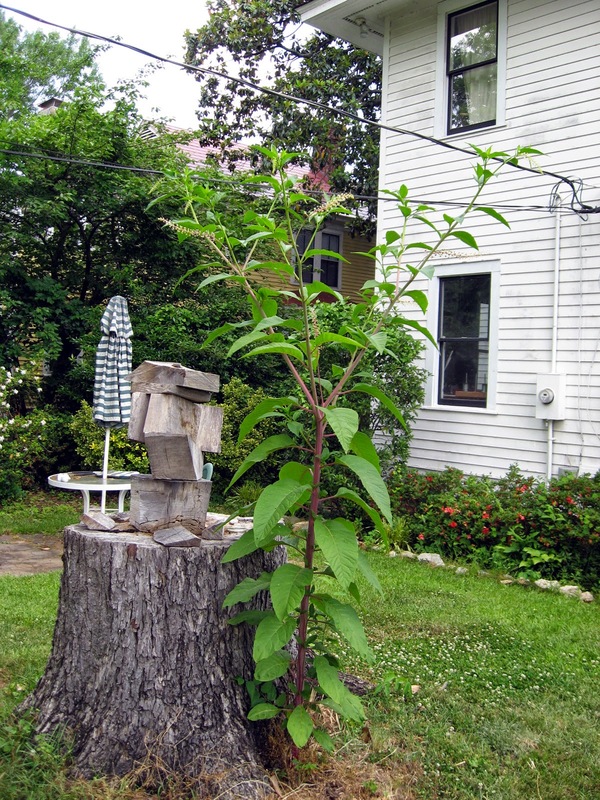 Here are some pictures of two different pokeweeds. 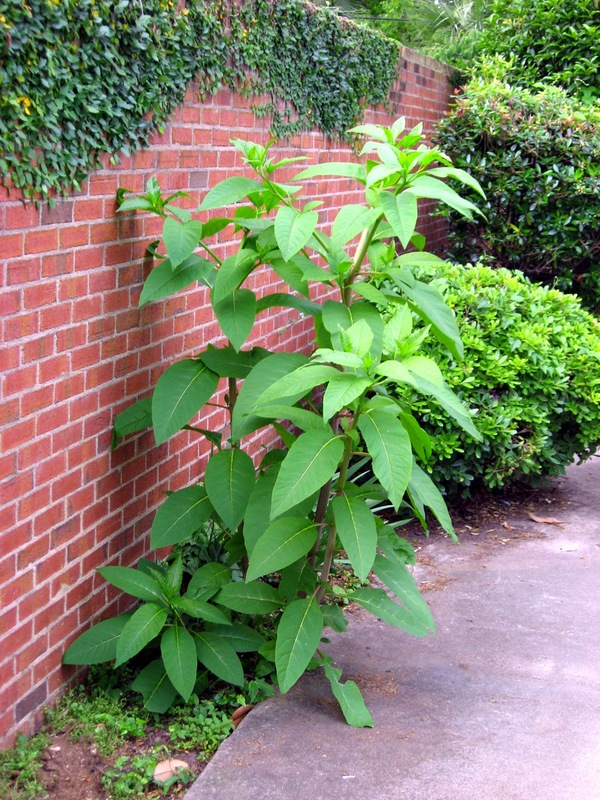 Pokeweed near the brick wall in the back of Mouse House. Several weeks ago I cut this weed with my lawn mower but it grew back with vengeance. I am going to allow it to stay a while. What on earth are you feeding these WEEDS! LOL!